The MSI MPG Z390 Gaming EDGE AC Has Arrived!! 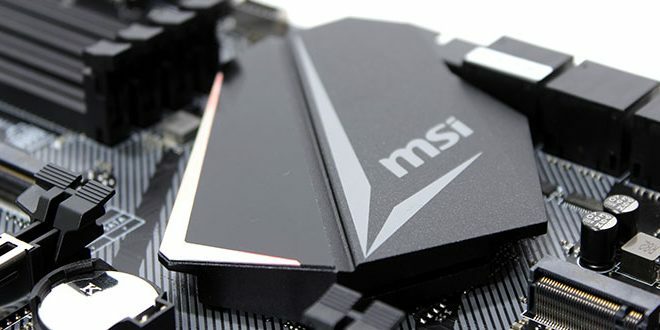 Today we have on the bench the third of the initial 3 motherboards for testing the new Z390/9900K platform: the MSI MPG Z390 Gaming EDGE AC. This board, much like the Gigabyte model we looked at recently, is a sub 200 dollar option which means it is going to be among the more popular boards and much more accessible for mainstream users. 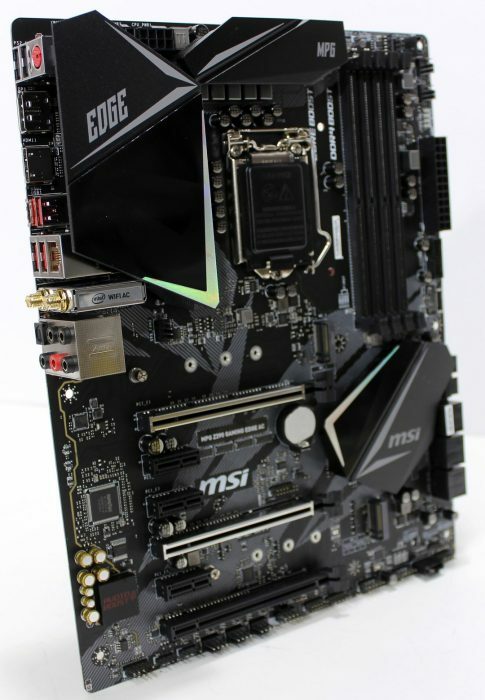 The MSI MPG Z390 Gaming EDGE AC is a solid board from a feature set but it is not packing the stuffed to the gills feature set as you get with the more expensive boards. MSI omits the less tangible features for a more simplified feature set to match the needed price point. One thing I will note right away is that the main VRM cooler which also does double duty of covering the rear IO which I am guessing saves the cost of a separate integrated IO cover. This heatsink is quite large which if course means more potential cooling surface area for the VRM. The area above the CPU socket also has a decent chunk of the VRM (4 phases) but the cooler has a bit less surface area or so it would seem, so this will be interesting to see how things perform as we get to burn things in. This is now the second sub $200 board and that’s not a bad thing as I said above this board will likely be more prevalent in builds due to its more attractive price point while still offering a solid feature set. Once again for those who didn’t see the previous reviews, this is a huge price delta and we are not expecting the MSI MPG Z390 Gaming EDGE AC to stack up against the Extreme board in terms of feature set but we want to see how it performs, what are the takeaways and how well can it keep pace with its much higher cost competitor. Now let’s look at the specs. I add this as a service so you do not need to visit the manufacturer site for the full spec loadout and if you have any questions on it, it should all be roughly handled up there or at least for the most part. Read on and let’s dive in. MSI offers a board in the Sub $200 category but it is found wanting. Too many missing features make this a questionable addition to the MSI product stack.